Radar image for 2/19/2015. Image courtesy of Weather Underground. 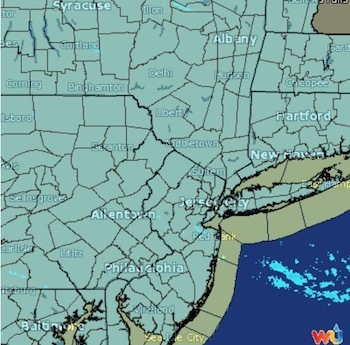 SUSSEX COUNTY, NJ – A wind chill warning is in effect through Friday, February 20 until 11 a.m.
A wind chill warning reflects the possibility of extraordinarily cold air and wind that can be harmful to a person’s skin, causing frostbite and hypothermia. Several schools in the Sussex County area have already called two hour delays, including Andover Township Schools, Green Hills School, Lakeland-Andover School, Newton Public Schools, North Warren Regional School District, Northern Hills Academy and the Vernon Township School District. Sparta Township Schools have announced a 90-minute delay. The wind chill overnight through Friday morning might generate wind chill temperatures at 25 degrees below zero Fahrenheit. Wind gusts could reach up to 30 miles per hour, with temperatures at 5 degrees below zero through Friday morning. The freeze could cause damage to water pipes in buildings. Temperatures on Friday are expected to reach 15 degrees Fahrenheit. On Saturday, Feb. 21, there is a potential of snow showers, with accumulations between one to three inches and a high of 28 degrees. On Sunday, Feb. 22, less than an inch of snow is predicted with temperatures reaching a high of 38 degrees. The week of Feb. 23, temperatures will reach a high of 28 during the week, with lows in the single digits. 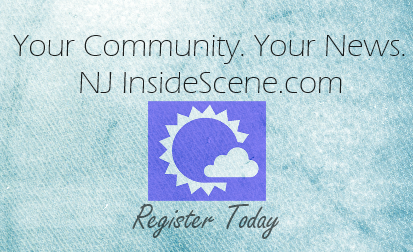 NJ Inside Scene will continue to follow up with weather alerts and information about delays and closures on the Facebook Page. Click here to follow us on Facebook.